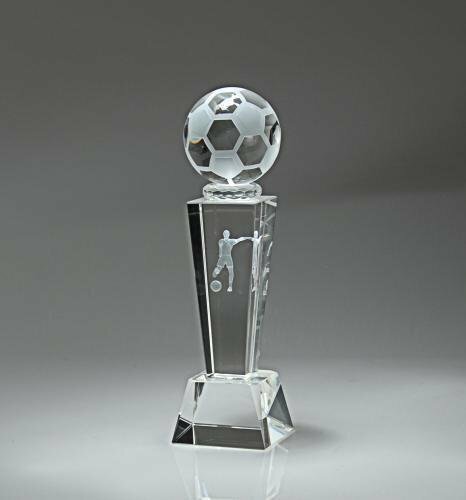 Crystal pillar stands nearly 9" tall with frosted sport ball on top, holograph sports image within pillar, and up to 50 characters engraved on base. Includes velour-lined presentation box. 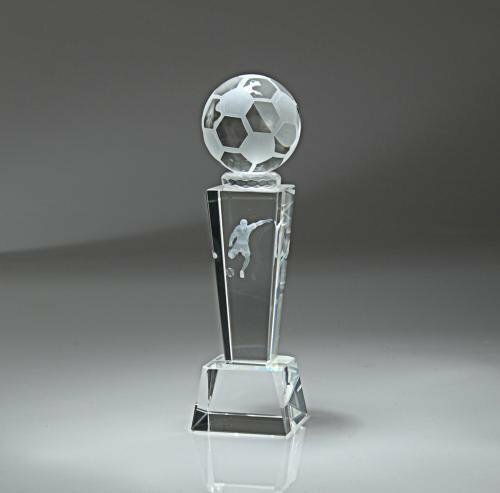 Place in cart to order online, specify text and select in-store pickup or other shipping method.